I was in the second grade of elementary school when Japan started the Pacific war. The war was still going on when I entered sixth grade, and it was during summer vacation of that year that the atomic bomb was dropped on Nagasaki. I was exposed to the atomic bomb while at home, some 2.2 Kilometers from the site of the explosion. At present I am 75 years old, the same age as the current emperor of Japan. Let me first tell you about my family back then. 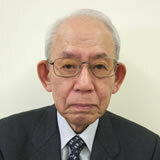 My father, who was 47 years old, worked as an engineer for the Mitsubishi Electric Corporation. My mother was 37 years old and there were seven children, including myself. My older brother was 14 years old and a third year junior high school student. My twin brother and I were 11 years old and in sixth grade at elementary school. I had two younger sisters and two younger brothers as well, making for a total of nine people in the family. On the morning of the atomic bombing, only my father and three of us boys woke up at our home. My mother had taken our four younger brothers and sisters and evacuated to the family home in the countryside. After getting breakfast, our father went to work as usual. My older brother, the junior high school student, went off to the weapons factory where he was helping out as part of the mobilized student forces. The two of us twins stayed at home because it was summer vacation, and until just before 11 o'clock we were out on the veranda. When we got hungry we went to the sitting room at the back of the house, and while we were sitting around the table a whitish-blue light shot across the room. Then came a roar that seemed to shake the whole house. The two of us got down on the tatami-mats and covered our eyes, ears and noses with our fingers, (just like we had been taught to do). While we were in that position, plaster and other debris came falling down on top of us. I thought that a bomb had directly hit our property, and that we would probably be buried alive there. The falling debris didn't continue falling for all that long, however. After a few minutes the falling debris became more infrequent and while laying there the voices of people in the neighborhood screaming and crying reached my ears. While remaining down on the ground, I lifted my head up and looked around to find everything completely changed. Almost all the furniture had been mangled and tossed around. The walls had come crumbling down and in every room the tatami-mat floors were covered with dirt and debris, with furniture scattered all about. The roof had been blown off as well, and we could see the sky. The pillars and walls were embedded with large numbers of sharp-edged fragments of broken glass. The other houses in the neighborhood were in the same state of destruction. Across the harbour, the central part of the city was covered in the clouds of dust. The two of us evacuated to the bomb shelter in our yard, where we waited for our father and older brother to come home. About an hour had passed when my brother arrived home from his factory. As that time he said that it was too dangerous to stay in that tiny bomb shelter, and that we should move to the larger one nearby. That bomb shelter, which was like a tunnel carved into the cliffside, was filled with mothers and their children. The children who had been showered in the heat rays while outside had suffered burns to any exposed skin. Other children were crying because their bodies had been stabbed by shards of glass and other fragments that had been thrown by the blast. If my twin brother and I had left the veranda to go to the sitting room five minutes later, we most likely would have suffered same horrible wounds from the heat rays and the blast. We spent that entire night worrying anxiously for our father to come back. By the next morning, however, he still hadn't returned. At that point, the three of us brothers headed off to find him. Of course, we didn't have any idea that the bomb dropped had been an atomic bomb, nor that my father's factory was so close to the site where it had exploded. As we continued on, the damage grew worse and worse. The houses at the road side had all burned (to the ground) and the trees and electric poles were scorched although they remained standing. The factories on the other side of the river now looked like masses of crushed wire, with only the largest of their columns remaining standing. There were many dead bodies among the debris littering the roads. The faces, arms and legs had swollen up, making them look like black rubber dolls. When our shoes touched those bodies the skin would come peeling off just like that of an over-ripe peach, exposing the white fat underneath. There were many dead bodies floating in the river as well. We were drawn to one that belonged to a young woman of about 18 or 19, from which a long white cloth belt was dragging behind. Looking closer, we saw that this white belt was really her intestines, which were protruding from the side of her abdomen. Feeling nauseous, we turned our eyes away and hurried off again in the direction of our father's factory. When we had come within about a hundred meters of our father's factory, my brother suddenly screamed out and stood paralyzed with fear. I looked over his shoulder to see a boy of 6 or 7 who had died with something white hanging out of his mouth. At first glance, it seemed to me that he had been vomiting up noodles when he died. Looking closer, however, I realized that the roundworms that had been living inside his body had come shooting out at once. We run away, fighting back our nausea. Does everyone here know what roundworms are? They are white parasites that look like worms and grown 20 to 40 centimeters long. Our father's factory had also been reduced to nothing but scorched metal flaming. Through the demolished walls we caught a glimpse of the factory and saw three men working with shovels. Overjoyed, we called out, "Our name is Yamawaki. Where is our father?" One of the men glanced over and said "Your father is over there." He pointed in the direction of the demolished office building. The three of us dashed off in the direction he had pointed. What we saw there, however, was our father's corpse, swollen and scorched just like all the others. As we stood stunned, the men with the shovels said to us, "If you want to take your father back home with you, you'd better cremate him her. If you don't want to do that, the only thing to do is bury him here. What are you going to do?" The crematories had also been destroyed in the bombing and couldn't be used. With nothing else to do, we went around the scorched ruins of the factory and gathered up smoldering pieces of wood so we could perform the creation right there. We put our father's body on top of a bed of burned posts and then piled up the pieces of wood on top him. When we lit it on fire, the flames rose high in the air. We put our hands together and said prayers for him. When we looked up again after prayers, we saw both of our father's feet sticking out from the fire. That was an absolutely unbearable thing to see. Our feelings must have showed because the men from the factory said, "You'd better go home for today, you can come back tomorrow and collect the remains." The next morning we looked around the kitchen area of our demolished house for a pot to put our father's remains in. We found one and the three of us took it along with us as we went to collect our father's remains. It was very strange, but we weren't scared at all by any of the corpses we saw. We only thought of them as object that blocked our way as we walked. When we arrived at the place where we had cremated our father's body, however, a shock awaited us. The body still remained as it had been the day before; in a half-cremated state and covered over with ash. There weren't any people from the company around. We there brothers only wanted to collect our father's cremated bones, but his half-cremated body was lying exposed. The only part of his body that had been cremated were the tips of his hands and feet and part of his stomach. We could only pick out a few of his bones. This body, which was like a skeleton covered in ash, was far more gruesome than the corpse of someone just deceased. It was even more unpleasant when we thought about how this body belonged to the same father we had always talked to and eaten meals with. It got so that I couldn't bear to look at our father's body anymore, and I said to my brother, "Let go home now and leave his body here." Thinking back on that, I know that it was not good thing to do. My brother looked at our father's body for a while longer, and then said, "We can't do anything more. We'll just take his skull home and that will be the end." When the tongs my brother had brought touched our father's skull, however, it crumbled apart like a plaster model and the half-burned brains came flowing out. Letting out a scream, my brother threw down the tongs, and darted away. The two of us ran after him. There were the circumstances under which we forsook our father's body. I think that all people who lost family members and other close to them in the atomic bombing went through experiences similar to this. There were seventy thousand people who were killed an instant by a single atomic bomb. My mother, who had gone out to the country with youngest children on the day of the atomic bombing passed away three years ago at the age of ninety-seven. I never ever told her the details of what happened when we went to retrieve our father's remains, including how the brains had run out from his half-cremated skull and how we had then run away home. Actually another reason we didn't tell her was that she was in fact our stepmother, who had taken care of us since our real mother passed away when we were 2 years old. After our father died, my twin brother and I began working. We were 15 years old then, and we worked for the next 45 years, until we were 60. While working we went to night school to complete our high school education. When I was 35, I began to have liver and kidney troubles. Because of this I have been admitted to Nagasaki Atomic Bomb Hospital 15 times. I was given interferon and other treatment, which I am still receiving. Unfortunately, last September my doctor informed me that I had stomach cancer and in October I underwent surgery at Nagasaki University Hospital. One university professor has written that "the atomic bomb killed people three times over." I think these words truly represent the horrific nature of the three destructive forces of the atomic bomb; its heat rays, its explosion blast and its radiation rays. I pray that no one else will ever experience the brutal tragedy that I witnessed at the age of eleven. However, it is said that there are some twenty or thirty thousand nuclear warheads in existence, all of which are far more powerful than the atomic bombs used on Nagasaki and Hiroshima. There are still many people in the world who do not know how fearful and cruel nuclear weapons are. In addition to this the world has become increasingly tense in the wake of 9-11 and there are still civil wars and international conflicts being fought. Please lend us your strength to eliminate nuclear weapons from the face of the earth and make sure that Nagasaki is the last place on Earth to suffer an atomic bombing. Let us all work together to build a peaceful world free of war.